It’s important to make sure you’re always safe on the road, whether you’re driving around in Kenner, LA, or in some other part of the country. Buying a Porsche Cayenne will go a long way in keeping you safe, as this automaker has a reputation for producing quality vehicles with the latest safety features. But sometimes, the unexpected can happen. Therefore, it’s a good idea to keep some tools in your car just in case your vehicle breaks down on the road. Here’s what you should have stashed away in your car. Having your car break down in Kenner, LA, in the middle of the day is frustrating, but nothing is worse than breaking down in the middle of the night. But if that happens to you, you’ll need to be able to see. While your phone might have a flashlight on it, it’s probably not as strong as a real flashlight. Therefore, you should bring a flashlight with batteries with you in the car, so you can see what’s going on with your vehicle. More often than not, when your car won’t start, it just needs a jump. But you’re not going to be able to do that unless you have jumper cables. Be sure to invest in a set, so if something does happen, you can get a friendly person in Kenner, LA, to help you out and get your vehicle back on the road. Alternatively, you could buy a portable jump starter. This tool allows you to jump-start your car without ever having to worry about finding someone else who’s willing to lend a hand. You can do it all by yourself. Sometimes, you won’t be able to fix your car, and you’ll just have to wait for help to show up. Make sure you can take care of yourself in the meantime by having some non-perishable food, water, and even some blankets in the back of your Porsche Cayenne. These items will make your wait more comfortable, especially if you are far from home or have to wait a long time for help. At Ray Brandt Porsche, we can help you prepare for whatever is coming your way. 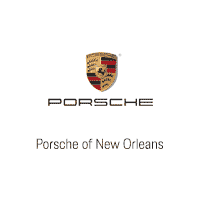 When you need to buy your next vehicle to drive in and around Kenner, LA, come see what we have to offer.